I love owls and have an "owl" classroom! 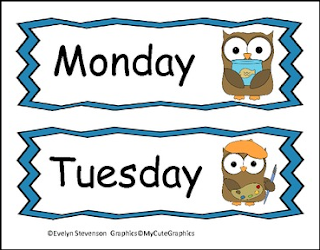 I thought it would be great to make a days of the week set with an owl theme. 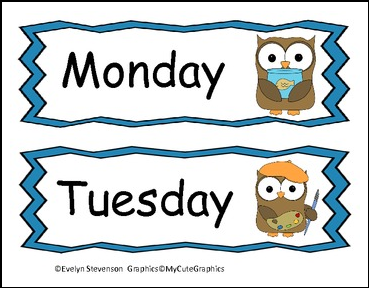 Each day has a different cute owl from MyCuteGraphics! You can use these for calendar time, as flashcards to learn the days of the week, flashcards to practice yesterday, today and tomorrow and you can use these in learning centers.